The autumn leaves are not yet falling, but the feathered autumn visitors are starting to arrive. Hawk-chasing season is giving way to fall migration and little-yellow-birdie chasing. So far this season I've seen hooded warblers, redstarts, common yellowthroats, black-throated blue warblers, red-breasted nuthatches, a great-crested flycatcher, black and white warblers and more. My photography success is very, very limited with the small birds, which is why I flood my site with pictures and videos of ducks, hawks and herons! But I'm now putting together some videos of the migration newcomers (plus some additional videos of birds I see more frequently). The other day I posted the Filming the Feathers videos of a Virginia rail and a redstart bathing beauty. Today I offer the rose-breasted grosbeak, a frequent visitor to Central Park during migration. These beautiful birds like to forage in the jewelweed or eat berries in the shrubbery. They also eat lots of insects. This short video features photos and footage from April 2015, September 2015, and two days this September, the 8th and 12. The video is short, and set to music by Franz Joseph Haydn. Read more about the grosbeaks on the Audubon Web site. 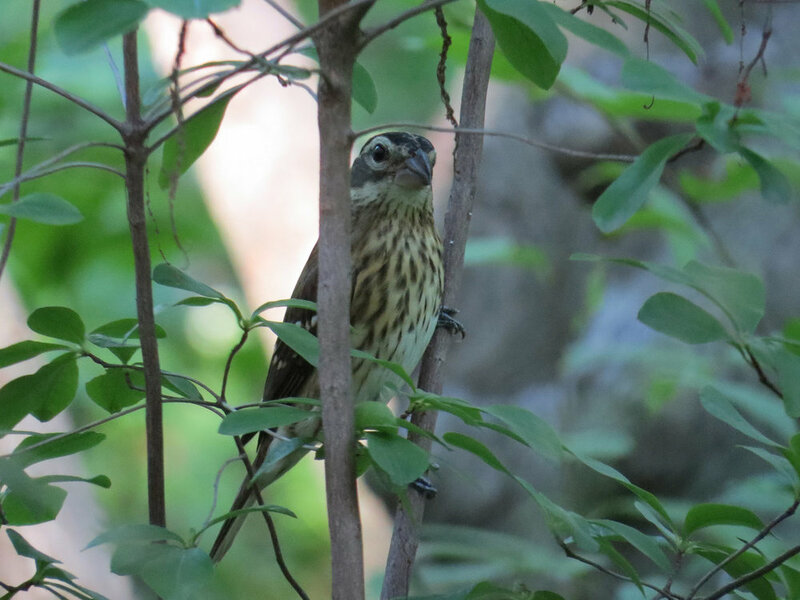 The adult grosbeak was photographed April 28, 2015, at the feeders in the Ramble in Central Park. The next grosbeak was photographed in September 2015. 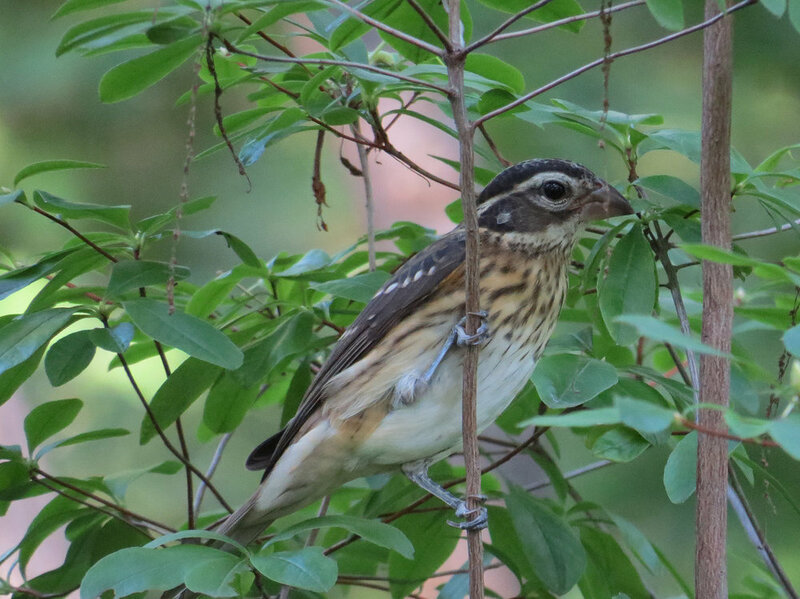 The last photograph, of a juvenile male grosbeak, was shot September 12, 2016, in Tupelo Meadow, but the video was taken both in the meadow and at Azalea Pond.